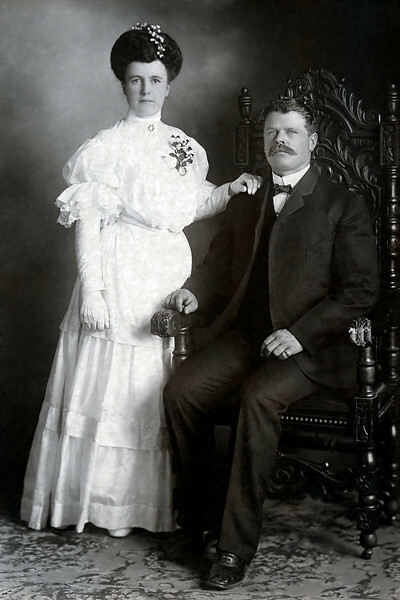 Callie Davis, one of Minnie's sisters, and Frank Smelser wedding portrait. May 17, 1905. Frank was 11 years older than Callie and died long before her. Callie remarried when she was 56 to Thomas B. Aspling. She buried one daughter Genevieve. I do not know what became of her.